Diesel fuel quality can have a major impact on engine operation and performance. Fleets must meet emissions standards while trying to maintain efficiency and maximize uptime. 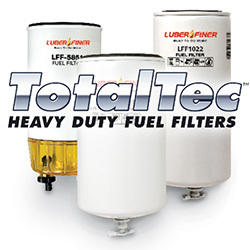 A quality Luber-finer® Fuel Filter can remove fuel contaminants, microbes and excess water. 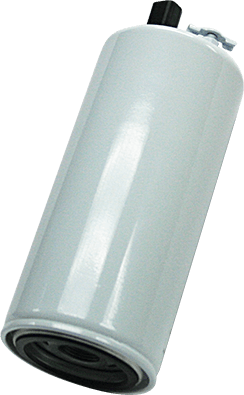 Scheduled maintenance and use of Luber-finer®‘s Fuel Filters are vital to protecting your fuel system and equipment investment. Emissions regulations have forced diesel fuel to undergo changes that can have a severe impact on engine performance. From debris and particulates transported in fuel storage tanks to condensation and microbial growth in bio fuels, fuel filters help maintain engine efficiency and performance.